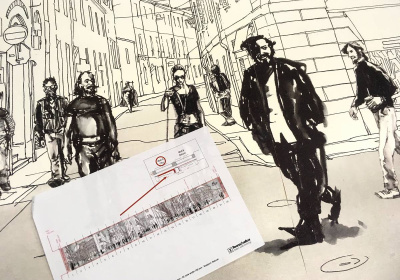 At the collective exposition of PRODUCT DESIGN at BATIMAT RUSSIA 2019, the items made by Russian and foreign product designers will be set to show. 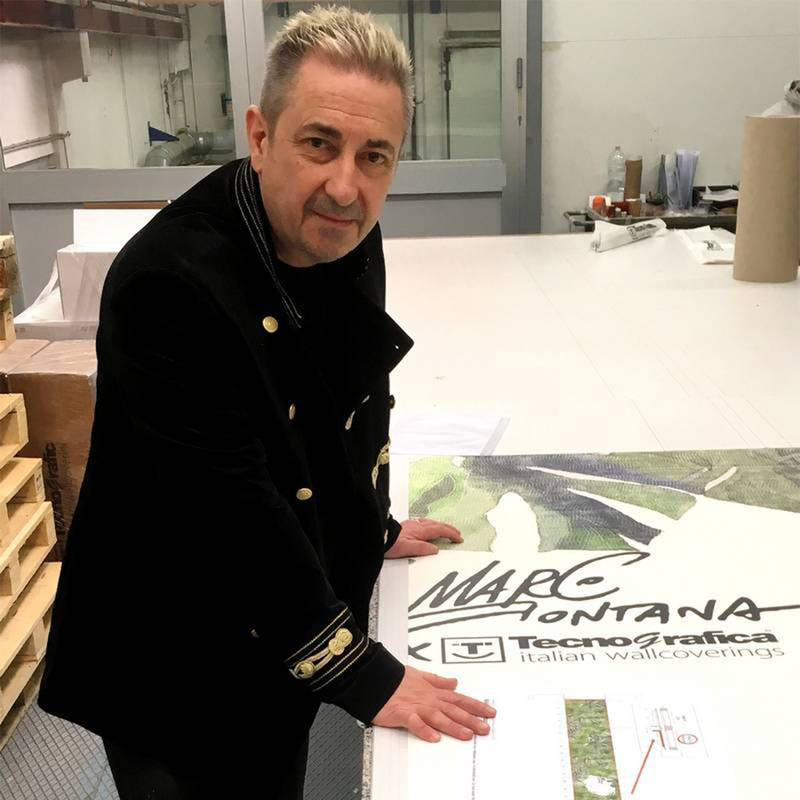 The Italian artist Marco Fontana will show wallpapers from the City Of Love collection or Fitzcarraldo, which he created for Tecnografica Italian Wallcoverings. 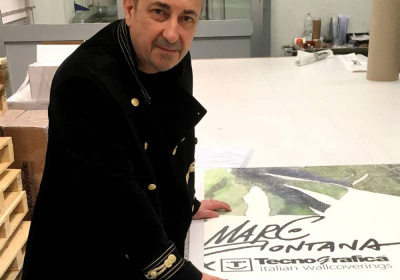 At the stand, Marco will make a real art show, where he will demonstrate how he creates and works. The master class will be held on March 13, 13.00 – 16.00, in Hall 6 at the stand of the PRODUCT DESIGN collective exposition (6-500). During this event, maestro Fontana will tell you how to find a balance between commercial and creative areas; which factors are considered when brands are choosing an artist for their projects; how can an artist understand brand priorities to achieve the business goals; which companies are interested in working with artists. 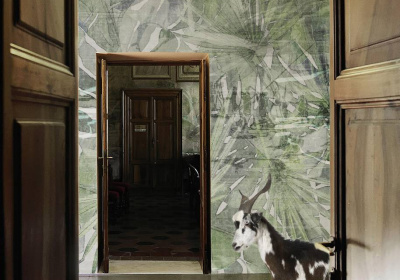 Wallpaper design is often created by artists, because it is more interesting by the idea; it is always more exciting to examine it in detail. Digital printing allows you to ‘play’ with graphics, color combinations, optical illusions. 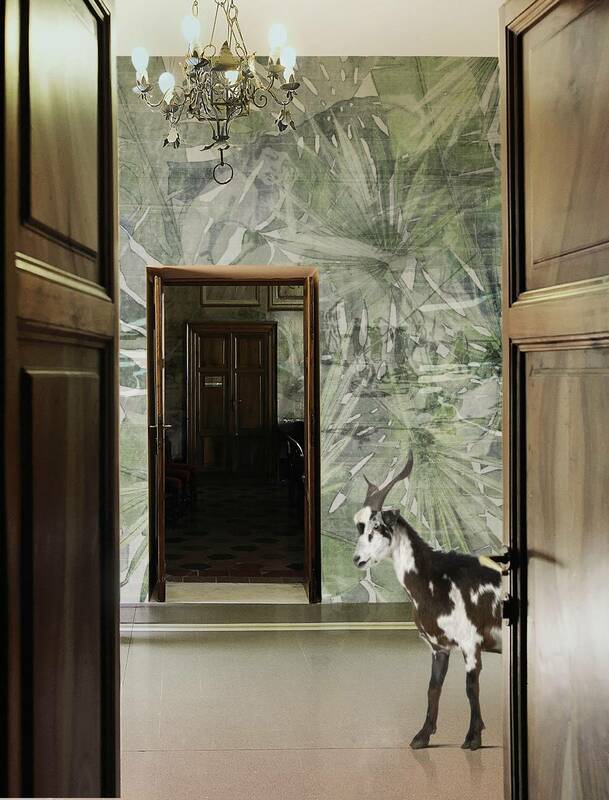 The City Of Love and Fitzcarraldo collections by the Italian wallpaper manufacturer Tecnografica Italian Wallcoverings based on drawings by Marco Fontana are the most recognizable and one of the most commercially successful today. ‘The worldwide commercial offer is so wide that companies increasingly rely on professionals to stand out among competitors. The main criteria that a company holds on to when choosing a partner, in this case an artist, should be the following: originality, individuality and profit. The artist can understand the priorities of the brand, only trying to forget that he is an artist. He must imagine himself in the place of a businessman. Thus, trying to look at the world from another point of view, he will know how to do his work’, Marco Fontana shares his experience. ‘Companies like having an opportunity to offer an individual product. This is happening increasingly often, and thanks to digital technologies we can create targeted products that can be adapted to different needs. 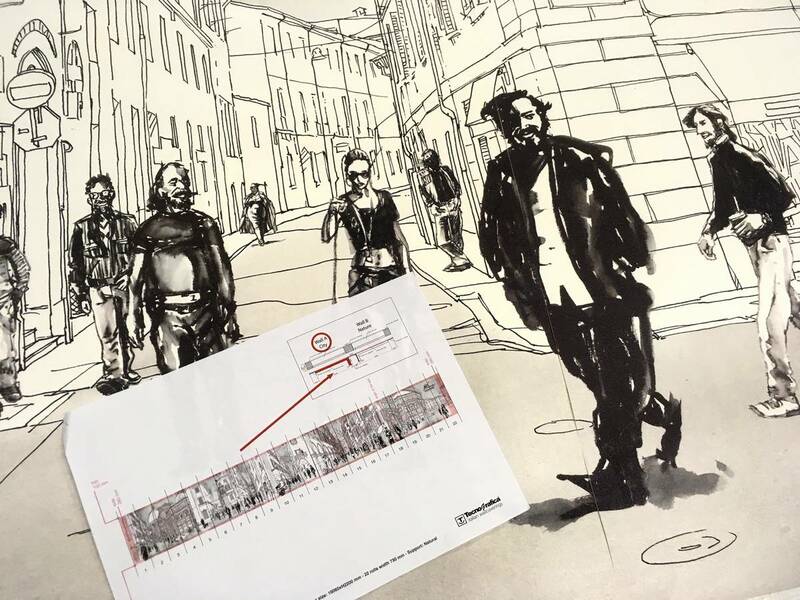 In this case, the city-style wallpaper, presented on one of the background walls of the PRODUCT DESIGN stand, is the remake of three different wallpapers, assembled into one big scene, specifically for this occasion. The wall in jungle-style – these wallpapers are from the Fitzcarraldo catalog, they are installed without changing the original design, but I provided an empty place for a surprise – ‘live’ drawing’. See you at BATIMAT RUSSIA 2019! You will enjoy many surprises.